'Hard Chine' DICKERSON 35. 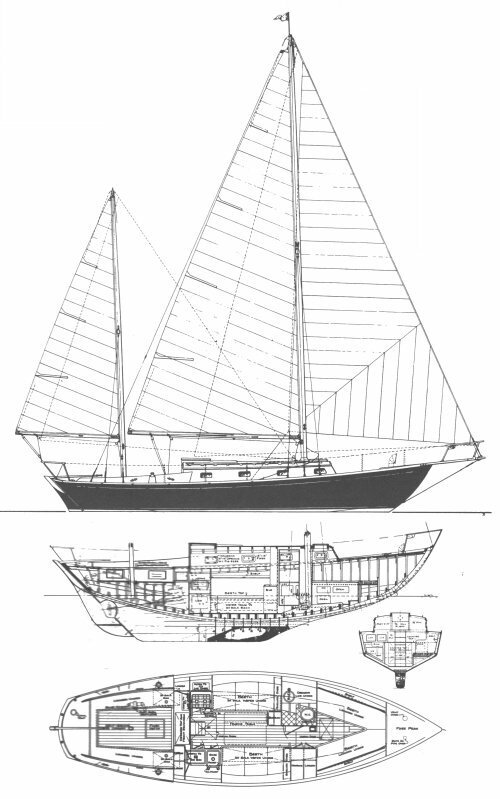 Available as sloop, cutter or ketch. Sets of plan for this design were sold to a number of other builders directly from the designer. Thanks to Blake Cunningham for providing images and updated information on a number of Dickerson yachts.